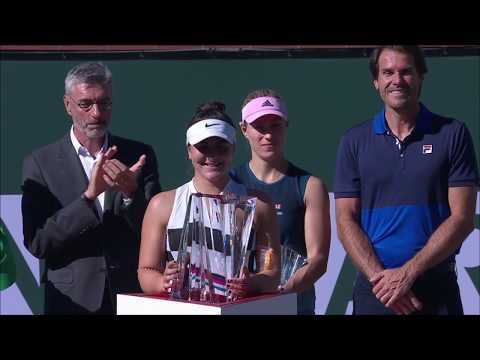 Gabriela Dabrowski and partner Mate Pavic of Croatia will be bidding for their second-straight Grand Slam title in 2018, as they defeated Katarina Srebotnik and Santiago Gonzalez 6-4, 6-4 in the semifinals of Roland Garros. Both are currently at the height of their careers, with Dabrowski reaching a career-high ranking of World No. 7 in doubles earlier this season, and Pavic currently occupying the top spot of the ATP doubles rankings. Although Dabrowski was eliminated in the third round of women’s doubles, Pavic is still alive in men’s doubles, where he reached the semifinals earlier on Tuesday with partner Oliver Marach. In the final, they’ll play either Latisha Chan and Ivan Dodig or Anna-Lena Groenefeld and Robert Farah.